Like his future funk cohorts, L.A.-based producer Yung Bae taps influences that are as varied as they are danceable: disco, funk, R&B and even Japanese “city pop.” These largely sampled grooves — obscure and otherwise — manifest as undeniably vintage sounds presented in gleaming, modern electronic trappings. 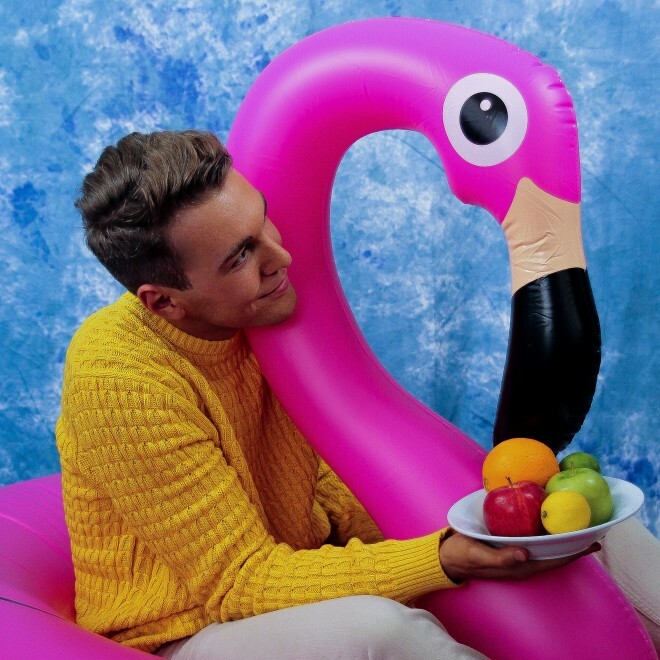 Yung Bae’s latest album, BA3, is a lean 9-tracker that loses none of the bounce of his previous work. We caught up with him ahead of its release. Yung Bae: For me, typically, really really fast. If a track can’t be done in under an hour, then it’s not worth it to me. I don’t like to just sit on a track because then I start nitpicking every little detail. I try and knock it out as fast as I can. The influence of Japanese pop-culture is evident in your work. What kind of responses have you been getting from people in Japan? YB: Every now and then, I check my stats on Soundcloud and I think South Korea’s ranked second or third — like, it’s above Japan. I don’t even sample Korean music. It’s very odd to me, but I guess I have a bigger following there than in Japan. Who are some of your favorite Japanese disco or “City Pop” artists? YB: Definitely Tatsuro Yamashita and Toshiki Kadomatsu. Anri is an all-time favorite. YB: Yeah! She’s one of my favorites of all time. There’s a couple more, but I can’t even pronounce them. Would you self-describe as an otaku? YB: Oh yeah! Naw… I mean, I have a track with “otaku” in the title, but no. I grew up watching Sailor Moon, which was a big pull for me, but that’s about it. 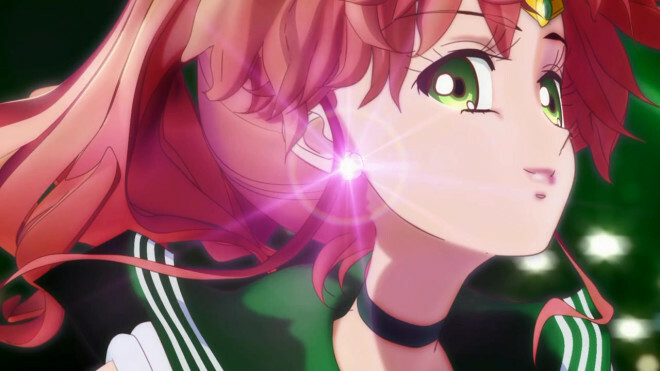 YB: Sailor Jupiter, 100 percent. My girlfriend likes Mars a lot and I used to like Mars a lot. It’s hard to say — depends on the month or the day for me. You’ve got a background in music, having played piano, but you didn’t get serious until about 2014 or so. YB: It was about two years ago this March; that’s when I started the whole “Yung Bae” thing. But yeah,I did piano when I was in sixth or seventh grade. Did that for couple of years and thought it was super nerdy, super dorky. I regret that still, not keeping with that. Tell us about how sampling played into that. YB: It was weird, when I first started Yung Bae, I didn’t even know what sampling was. I had been listening to a bunch of MF DOOM, a lot of Madlib stuff and I was like, “How is he getting all of these features? !” I never even thought about it from the perspective of rappers or anything I grew up listening to stuff like The Police and Steely Dan. Have you run into major issues (take-downs of songs/videos, cease-and-desists) due to your use of samples? YB: None yet. I’ve never had a strike, but I’ve had well over 10 tracks taken off Soundcloud for copyright reasons. I was one of the first 25 or 50 people to have a premiere account back in the day. I got like 5 tracks taken down the first day Soundcloud started getting on everybody for that. But the partner company I’m with — I don’t know how they did it — they got them were all back up again. I’m not sure what that was about, but I’ve had no real problems with that so far. Do you go out digging for samples or do you do more searching online? YB: It’s kind of a combo. Since I moved to California, I don’t really have a set spot. When I was living with my parents in Portland, I had a set spot that I’d go to every other day. Youtube’s always been a super-valuable resource. I always use certain samples as starting points for digging. It’s way easier in that sense for my generation compared to people like [hip-hop producer] Madlib. Would you say your work constitutes more “remixing” or do the tracks stand as their own compositions? We reviewed that one actually! YB: Oh okay, yeah! That one sampled “The Dude” by Quincy Jones. That one, I would honestly call an original composition because I layered my bassline and recorded the drums. I think the track took maybe 30 or 40 minutes to do. I played the bassline and some of the pianos. I sent that back to him and he said, “This sounds like ‘It Wasn’t Me’ by Shaggy!” And then just started singing that over it. How did your collaboration with Mura Masa come about? YB: I almost feel bad talking about it sometimes. When he hit me up, I literally had no idea who he was. I don’t think I even listened to his music until we finished the collabs and put them out. But he’s huge now. We picked out some samples and then we tossed around some ideas. Those were really fluid. We worked really well together. In line with that, who would you want to produce for or collaborate with in the future? YB: Definitely Goldlink. I love his voice, the tone, everything. He’s one of those rare rappers that’s had good, danceable vibes. He’s extremely fun live. The only person that I kind of think of that I enjoy that much in that kind of atmosphere is, like, Will Smith and DJ Jazzy Jeff-type stuff. I saw that you were in the studio working on a beat for Ty Dolla $ign. Can you tell us about that? YB: I can’t talk about it too much, but I am working on beats for him right now. What’s your live set like? What’s the setup gonna be when you move to a more live approach? YB: I think I’m gonna run it through Ableton. It sounds like a lot of work, though, so I’m just easing into it. I’m feeling privileged just working off CDJ’s right now. Finally, what can listeners expect from BA3? YB: It’s similar to my other tapes, but I’m working on making it more fluid than the last few tapes and putting in as much effort as I possibly can. Will you stick to your rule of not working on tracks for too long, though? YB: Yeah. Every track on BAE 2 was made in 30 to 45 minutes. With BA3, I’m gonna stick to that; that’s how I’m always gonna do it.